Our 100% Cotton 6-Foot Cinch Buckle Yoga Strap is an essential and affordable yoga prop for any home or studio practice. Straps improve alignment and flexibility! This standard size strap isn't too long - so it won't get tangled up, and it is easy to handle. The plastic cinch buckle is our most popular option because it won't slip and is easy to adjust with one hand and while holding poses. Yoga Accessories' yoga straps are a sturdy 1.5 inches wide, which allows for proper circulation yet isn't too thick to comfortably hold in your hand. It's made from durable and long-lasting 100% cotton. Looking to brand a strap? This generic yoga strap is available in custom printing! How cool is that? You can slap your name, studio logo, or studio name right on your strap! This will certainly help your straps from getting mixed up. Plus, we think it will make you look pretty official. 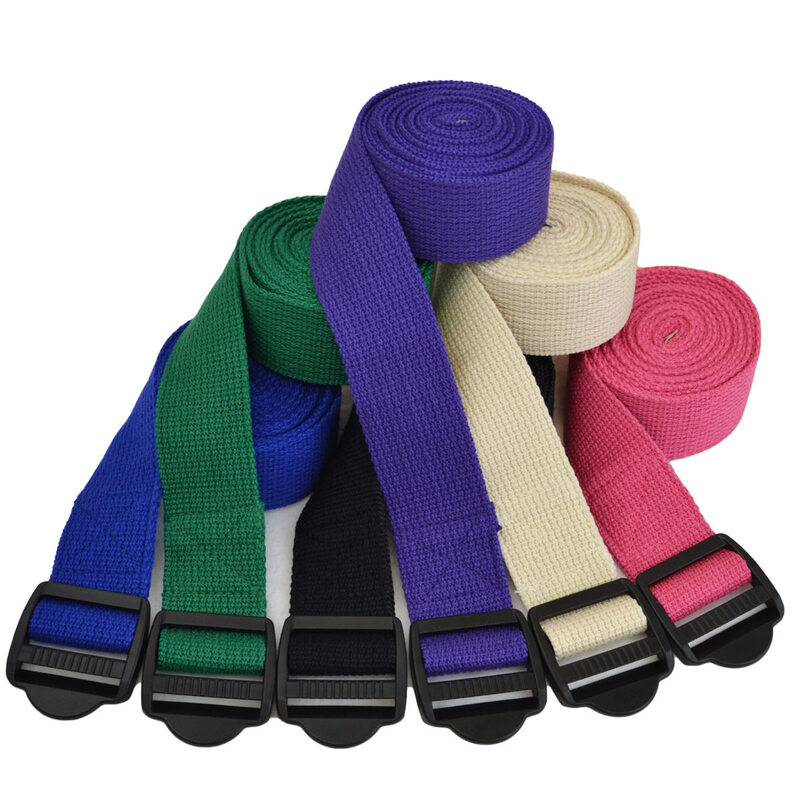 Good quality strap at a low price. Great for those hard to reach stretches! This yoga strap really helps with leg exercises. Use it all the time. Great for the price, good length, nice and sturdy, fun colors. This strap seems to be well made, and works well. It has been a real help to do the poses. The 6' yoga strap is just perfect! Very comfortable to use and easy to roll up and carry. Sturdy belt, economy price. Perfect for a beginner. We have used these for years. They are easy to use and hold up under a lot use. comfortable too. Very nice strap! I like the buckle too. Many straps that I have used weren''t very sturdy. This one is. I have no fear when using it. This strap is strong and it helps me be able to reach my legs when I normally couldn''t.